Introducing the Drooble Song Reviews! Our new service is finally here! We are excited to share the launch of Song Reviews – a tool to order honest and useful feedback given by fellow musicians. What is even better is that you can earn money on the side for sharing your opinion and expertise on other people’s music! As a musician, you can choose whether you need a general understanding of how your song is perceived or go deeper into specific areas like songwriting, production, and audience. The key element for both options is the opportunity to receive encouragement and increase your motivation and obtain specific recommendations for improvement of your song. We believe that objective feedback could be one of the best tools for independent artists to get to the next level in their development. Ready to have a look? Check out the new service now! 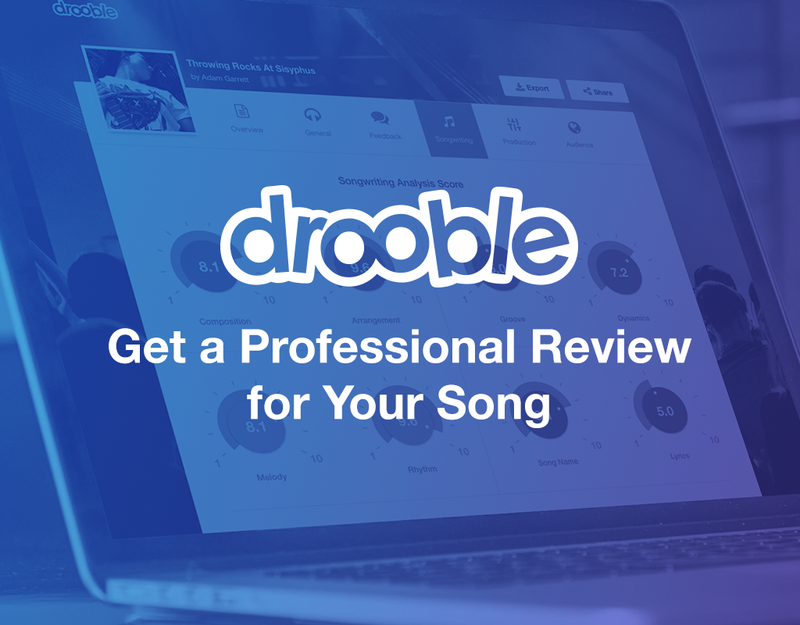 Go to Drooble Song Reviews! Nice project, this service can help listeners to get an overiew of song before they listen to it and also some extra tech information about the tune.